Gift D. Youngbar, 1-22-72;  wasn't  B at 5th. Description Sepia photo. Water spots, creased corners, chipped edges, dirty. Same as 147 a & b and 1538. 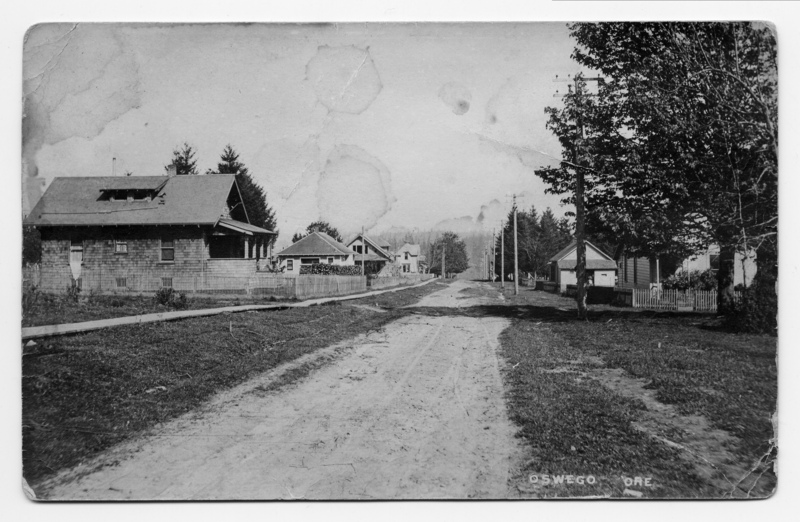 [imprinted front]: Oswego, Ore. Transcription Gift D. Youngbar, 1-22-72; wasn't B at 5th.